The worst thing about Wendell isn't his slightly balding head, skinny frame, or thin lips; it's that he's a bit of an idiot. He just started dating Vicky, an angry drunk, who conveniently shares his lack of ambition and cleanliness. But he might prefer a relationship with Joanna because she's a selfless social worker who doesn't have lip acne. Eventually, Wendell is going to have to decide who he really belongs with: the best girl he's ever known—or the worst. Twenty-five-year-old Adam Bowers writes, directs, and stars in this deadpan comedic love triangle for questionable romantics, which was shot on borrowed equipment by whichever one of his friends was available that day. 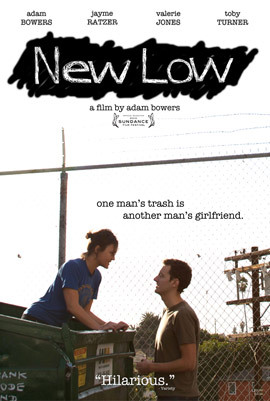 This sharply scripted debut feature out of Gainesville, Florida, charms with Bowers's natural comedic timing and endless supply of one-liners while questioning not only who we should spend our life with but who we truly are under all our neuroses.